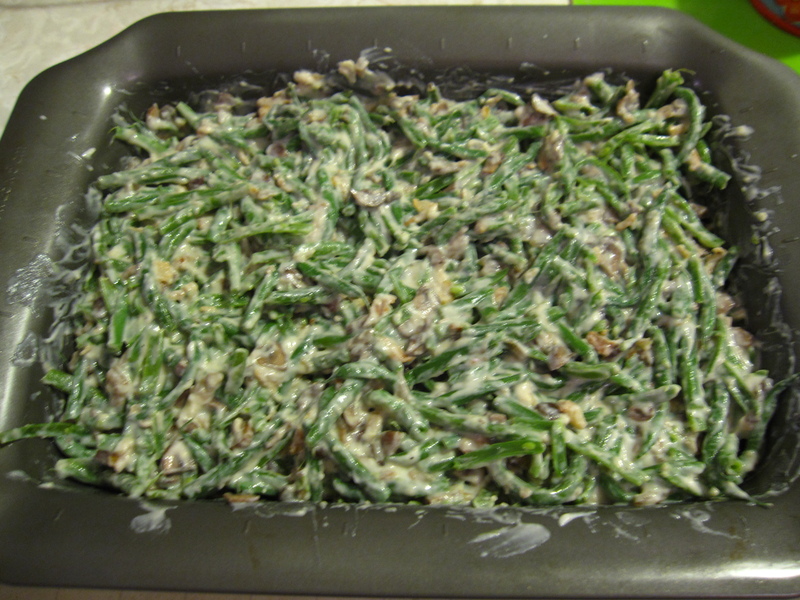 Guess I must be on a green bean kick lately, but when I had the chance to prepare a dish to bring to a Thanksgiving dinner, I decided to make green bean casserole. 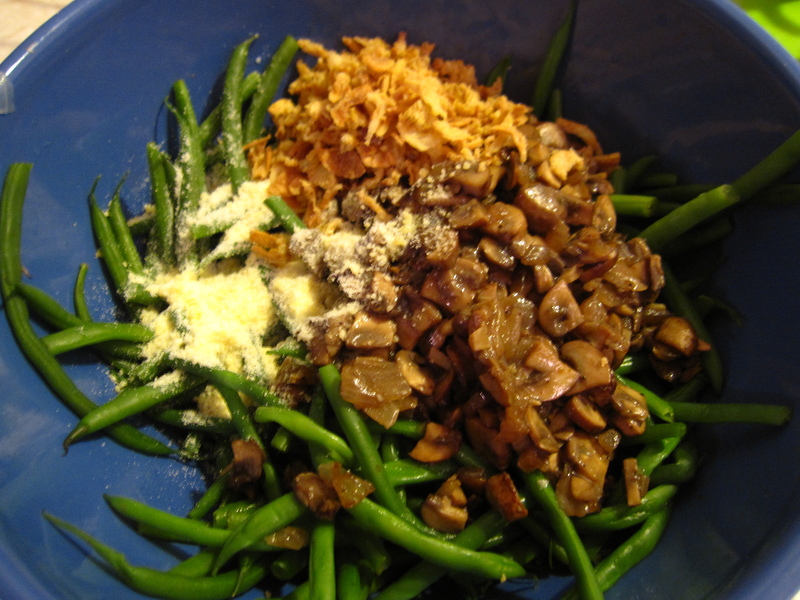 I love the traditional green bean casserole made with Campbell’s Cream of Mushroom soup and French’s fried onions. This year though, I wanted to try my hand at making the dish from scratch, or at least making the mushroom cream sauce from scratch. Not sure why since I usually take the lazy way out, but maybe I was feeling adventurous this Thanksgiving and wanted an excuse to try and make a béchamel sauce (which I had never made before) to substitute the cream of mushroom soup. 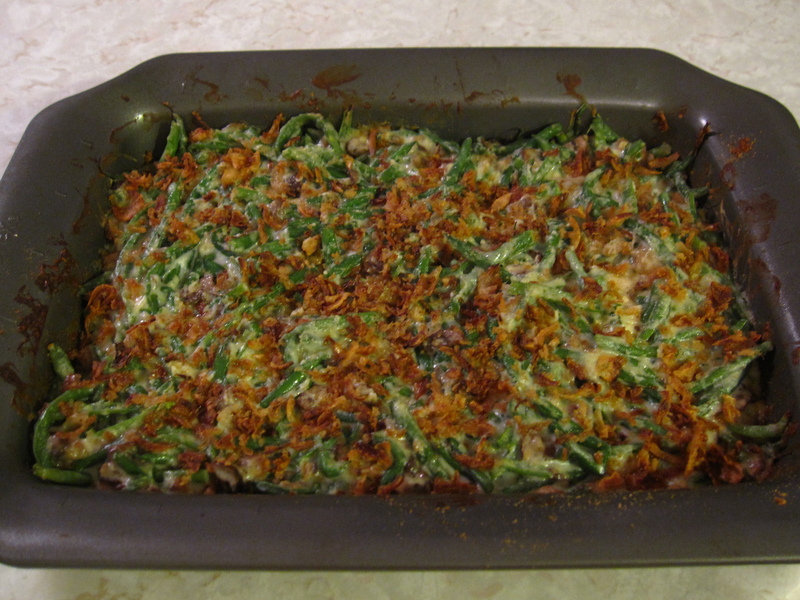 Though it took a little longer than usual to make the casserole, it was pretty easy to make. 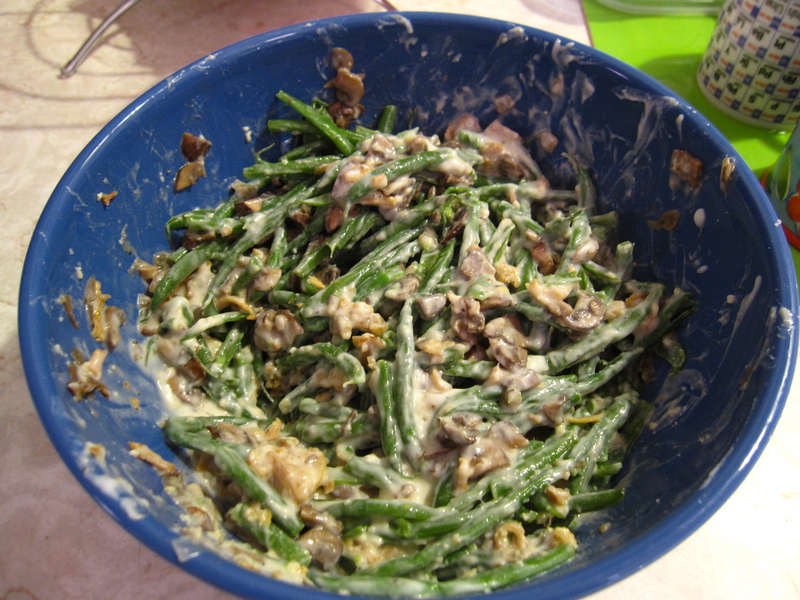 I thought the green bean casserole tasted even better with the béchamel and sautéed mushrooms. I still used the canned fried onions though, and could not give up that tradition. Guess I had to leave something to try out next year. 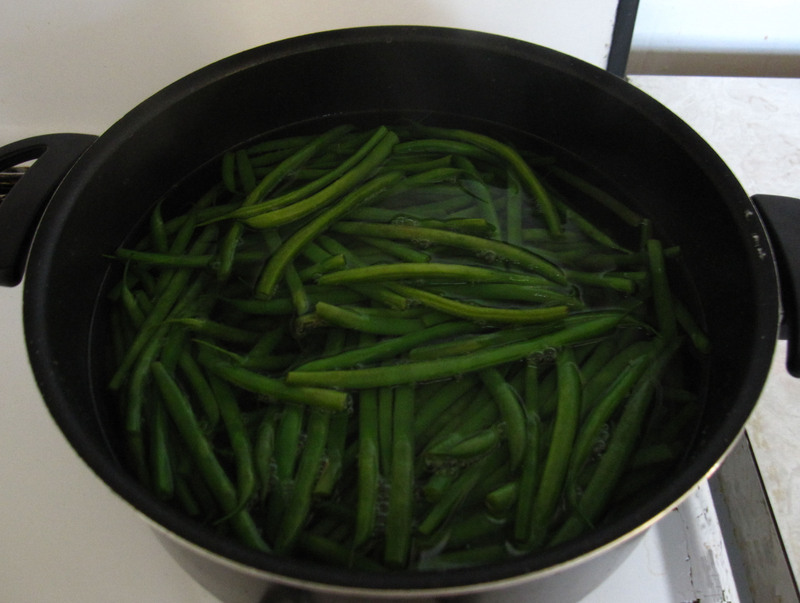 Making the green beans: In a pot, bring water to a boil. Add beans, and boil until tender, about 4 to 5 minutes. Drain. Some people plunge the beans in an ice bath or cold water to stop them cooking further. Set the beans aside to cool. 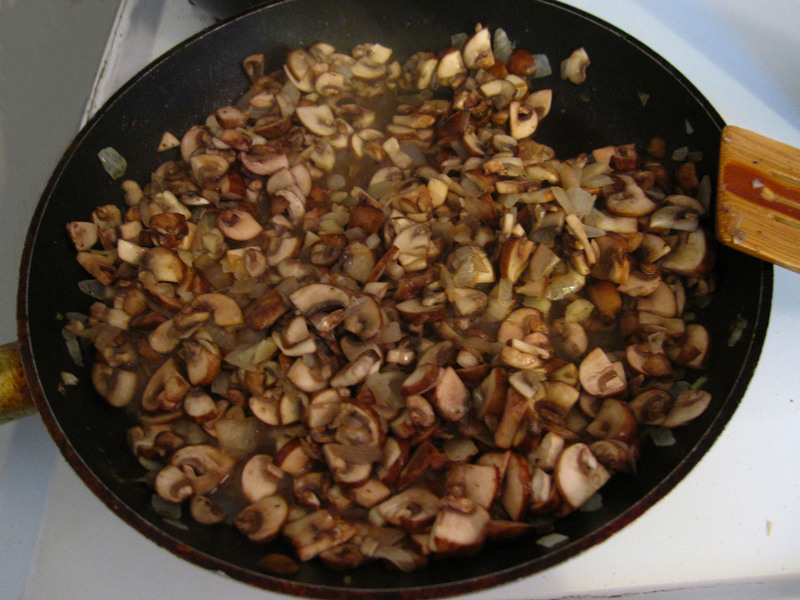 Making the mushrooms: In a large skillet over medium heat, melt 2 tablespoons butter. 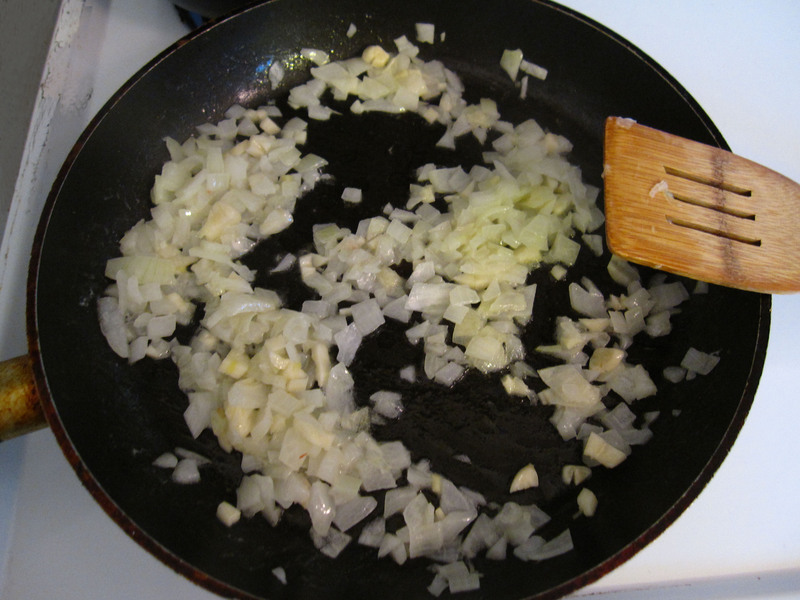 Add the onion and garlic, and sauté until they begin to soften. 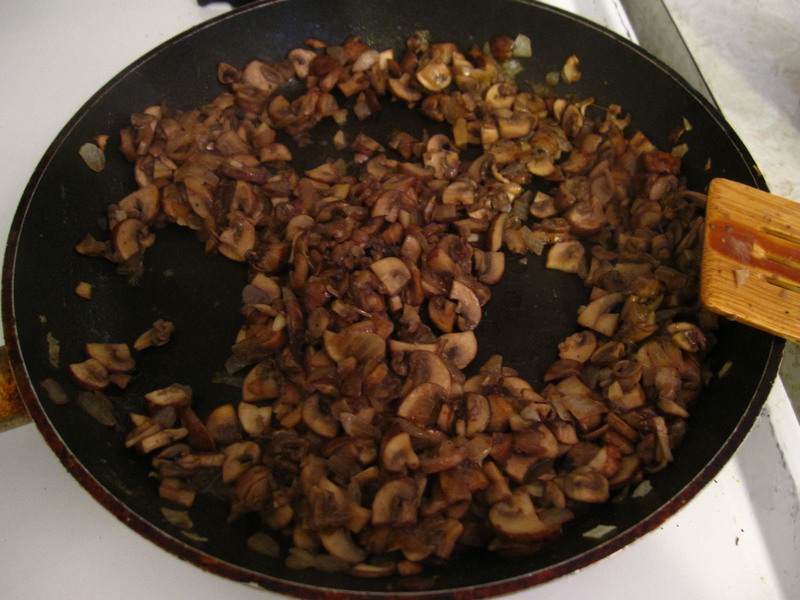 Add mushrooms and cook until they’ve softened and most of the liquid has evaporated. Season with 1 teaspoon salt and 1/4 teaspoon pepper. Set aside to cool. 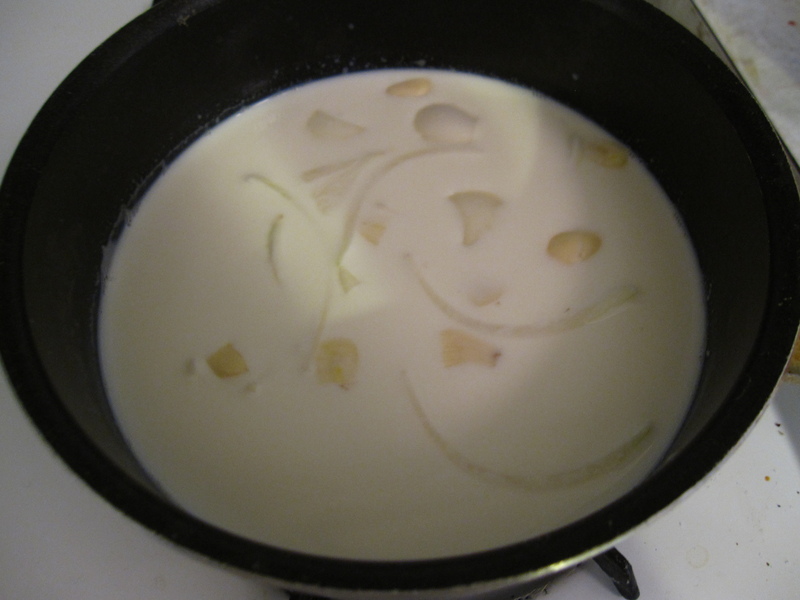 Making the béchamel: Put 2 cups of milk in a saucepan or small pot and add the remaining half onion, 2 cloves of garlic and nutmeg (if you want to include it). Heat the milk until it starts to simmer and then remove from heat. 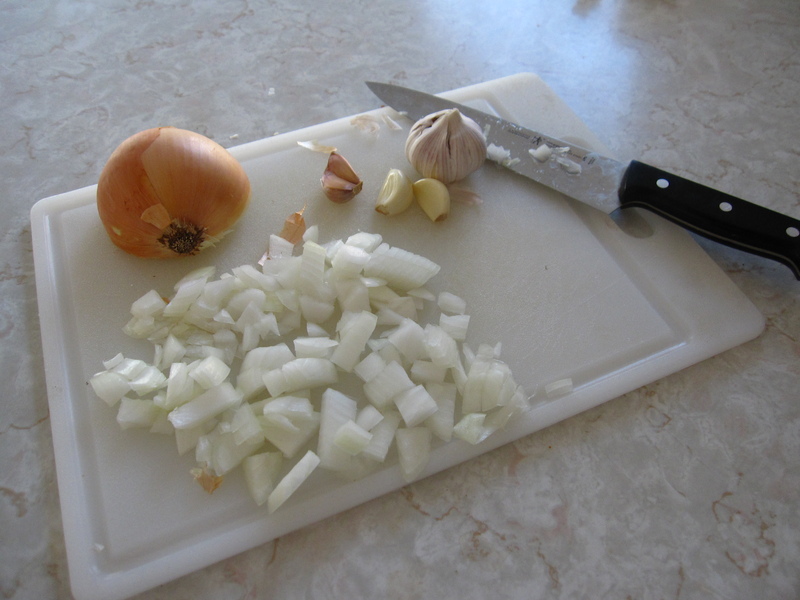 Let it sit for 15 minutes to infuse the flavors of the onion and garlic. 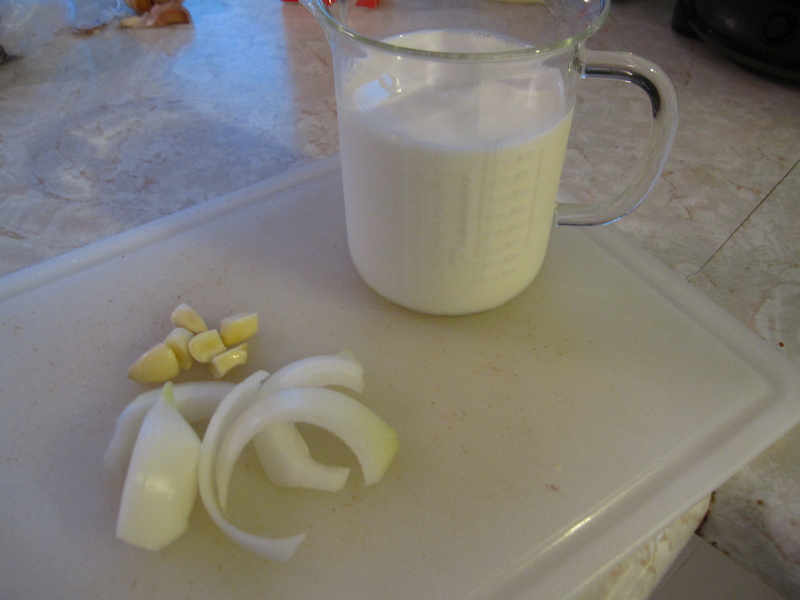 After 15 minutes strain the milk to remove the garlic and onion. 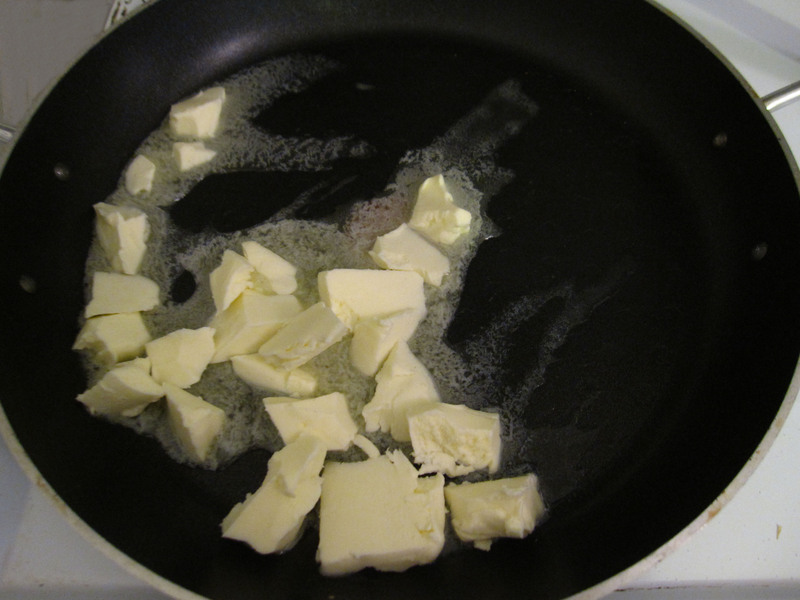 In a large saucepan, melt 4 tablespoons of butter over medium-low heat. 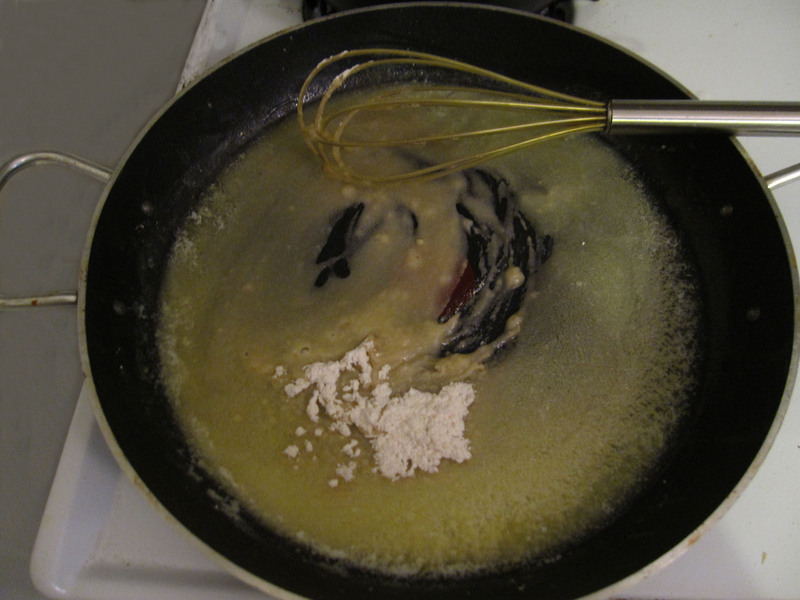 Add 1/4 cup flour, whisk constantly until mixture begins to turn golden, about 2 minutes. 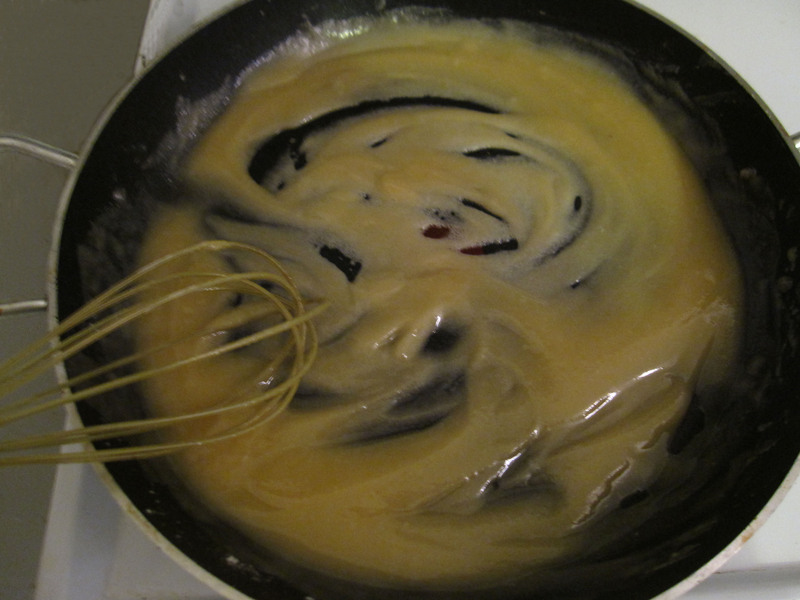 Gradually add the milk, and continue whisking until mixture has thickened. 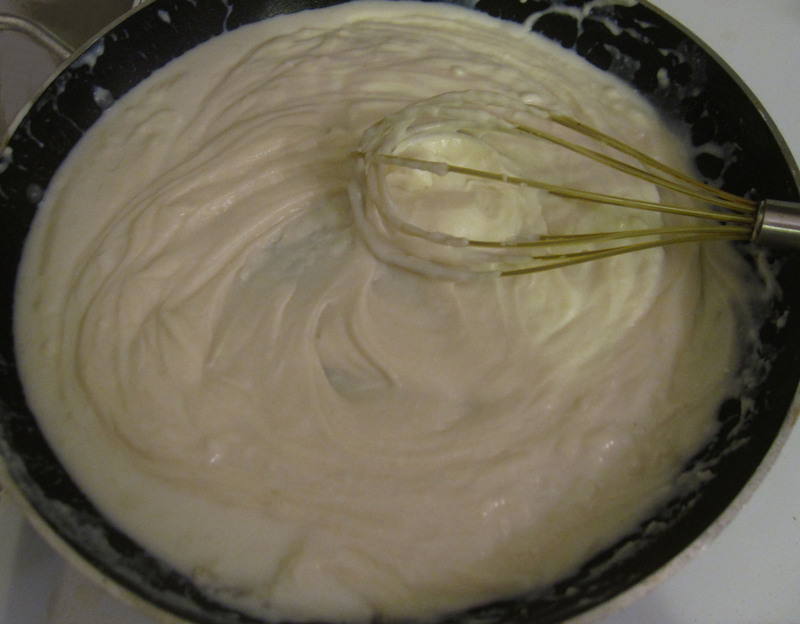 When you first add the milk, the mixture will be dry and look lumpy, but as you continue to gradually add the milk and constantly whisk, it will become more sauce-like, creamy and smooth. Add the remaining teaspoon of salt and 1/4 teaspoon pepper. Remove from heat, and let cool to room temperature, stirring occasionally. 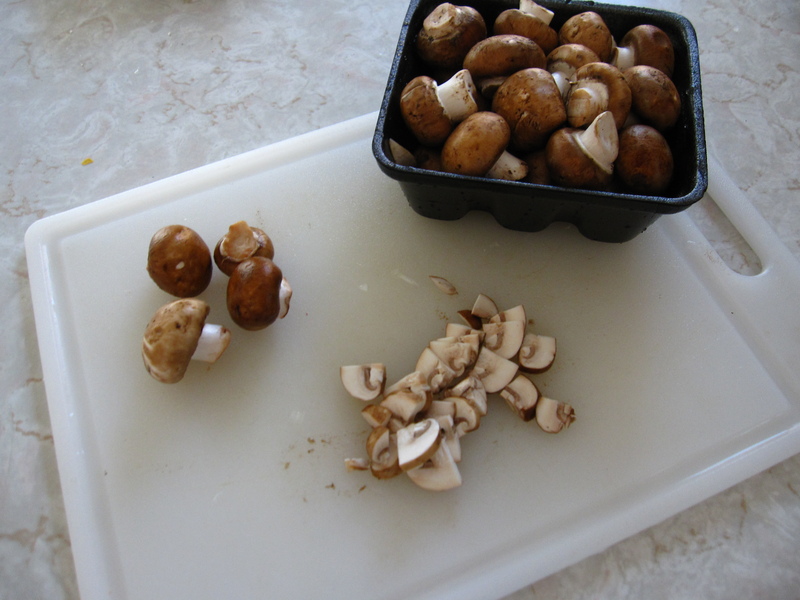 Mix the green beans and mushrooms together in a large bowl. Add half the parmesan cheese and half of the fried onions. Add the bechamel sauce and toss gently. 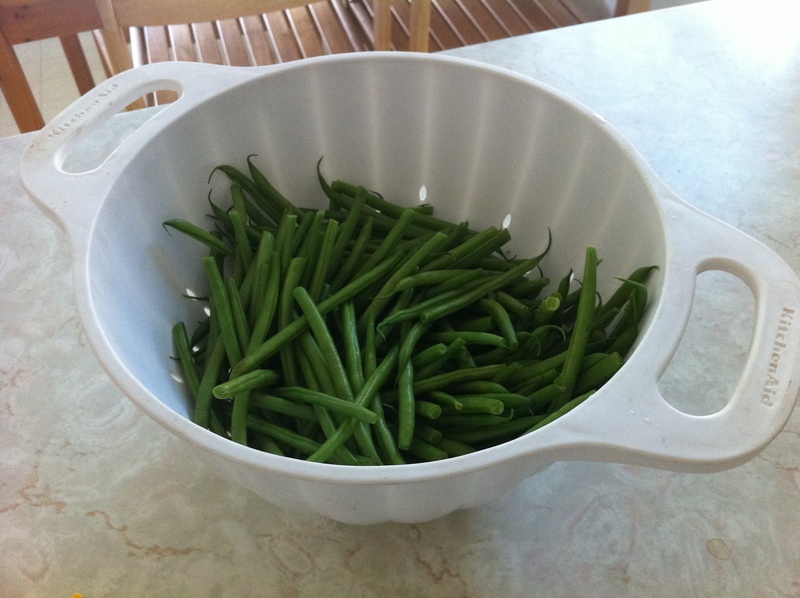 Butter a 9-by-13-inch baking dish or pan. Add the green bean mixture. 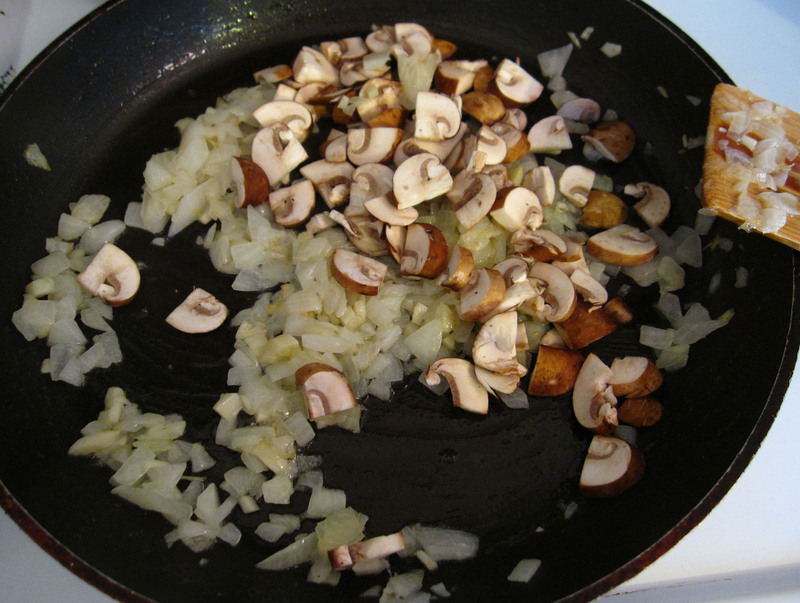 Sprinkle the top with the remaining parmesan cheese and fried onions. Preheat oven to 350°. Cover casserole with foil and bake until mixture is bubbly and heated through, about ten minutes. Uncover and cook until top is golden brown. Remove from oven and serve (serves about 8).